Both David Haye and Tomasz Adamek have taken advantage of the disappointing heavyweight division recently. Unlike most predecessors who have moved up from cruiserweight or light heavyweight, both Adamek and Haye have had some success against the big boys. Since moving to the division permanently, each fighter has won all three of his bouts, albeit against six different opponents. Here is an analysis on which fighter has had the tougher opposition, and which has the better future as a heavyweight fighter. Monte Barrett has had his moments as a heavyweight fighter with wins over prospects Dominick Guinn and Owen Beck. But he was 37 when he fought Haye -- well past what would’ve been considered his prime. Haye wiped the floor with him. as expected. Meanwhile Adamek fought the man with the bigger punch -- Golota -- but "The Foul Pole" brought in a ton of extra poundage. Even when he was in his late 30’s, Golota always came into a fight soundly in shape. This fight however, he weighed in an Arreola-like 256 pounds. At 42, he too was past his best. Both results were a TKO in the 5th for Haye and Adamek. We can call this one a draw. Valuev may be big, but he’s a waste of space. Haye used his natural speed and athleticism to beat the 36 year old. 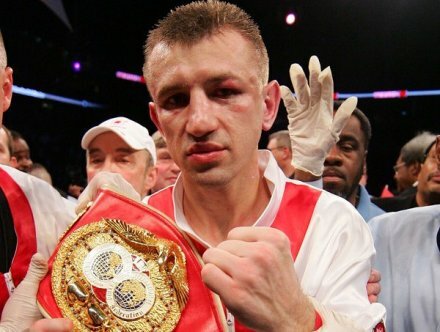 Against Estrada, Adamek used his athleticism as well, beating the wider man to the punch en route to a comfortable decision. Neither performance was necessarily outstanding as both fighters simply did their job. Haye may get the nod here just because he was fighting Valuev in his home country and a fighter who has a bigger (but definitely slower) punch. This was the first real test for either fighter and both passed comfortably. The difference here is that Ruiz was 38 at fight time. while Arreola was 29. Arreola also is by far the bigger man and packs a bigger punch. Also, despite being 250 pounds, Arreola can move quite a bit for a man his size and can put combinations together. Ruiz was well past his better days and Arreola, despite losing two of his last three, is still a major threat for anyone in the division, including David Haye. Haye has acknowledged his suspect chin and although he has the power to knock out just about everyone in the division, he can be knocked out as well. Have to give the nod to Adamek in this one. Adamek. in my mind. would get beat by either of the Klitschkos, but I think he can beat most other fighters in the division. Haye, on the other hand, could possibly beat both Klitschkos with his combination of speed and power. But his suspect chin also means could be ended just as quick. All of Haye’s three opponents have been at least 36; bubt it’s no fault of his own that his first defense was a mandatory against Ruiz. It is good to see some worthy discussion finally happening in the heavyweight division. Although it will not happen anytime soon, it’d be nice to see Haye and Adamek square off, if they're around when the Klitschkos have departed.